A set of 2 pairs of colorful socks. 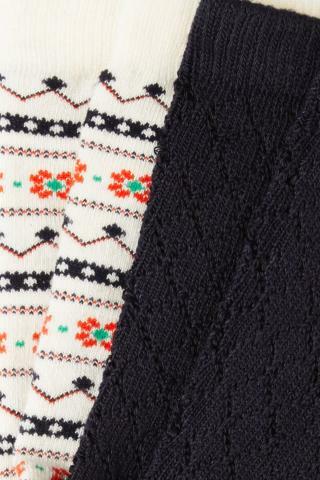 One pair with folklore pattern, one pair with graphic ajour pattern. These socks are made of bamboo, this feels comfortable and allows better moisture absorption.